This is a long and strenuous hike though some very remote terrain. This hike is not suitable for casual tourists who are not in good hiking shape. Continuing southeast after crossing Ribbon Creek, the trail gets closer to the edge of Yosemite Valley and we start to get some good teaser views of the backside of El Capitan. Near El Capitan Gully, take a careful peek down into the impressive crack. The trail then circles around the gully and soon enough, we are standing on top of El Capitan! Take the short spur trail south to stand on the summit block proper. Note that while standing on top of the dome formation, you don't really get a sense of the 3000-ft sheer wall directly to the south, but you do get a great view of Half Dome to the east! Continuing along the trek, it's roughly another 2 miles to Eagle Peak. Along the way, Eagle Peak will come into view; it's a scraggly ridgeline with numerous boulders sprinkled over it. (While crossing a few sections of open rock, you may lose the actual trail, but it should be easy enough to pick it up again at the other side.) The trail gets siphoned in the Eagle Creek gully and after a bit more uphill, we reach the spur with the trail to Eagle Peak. 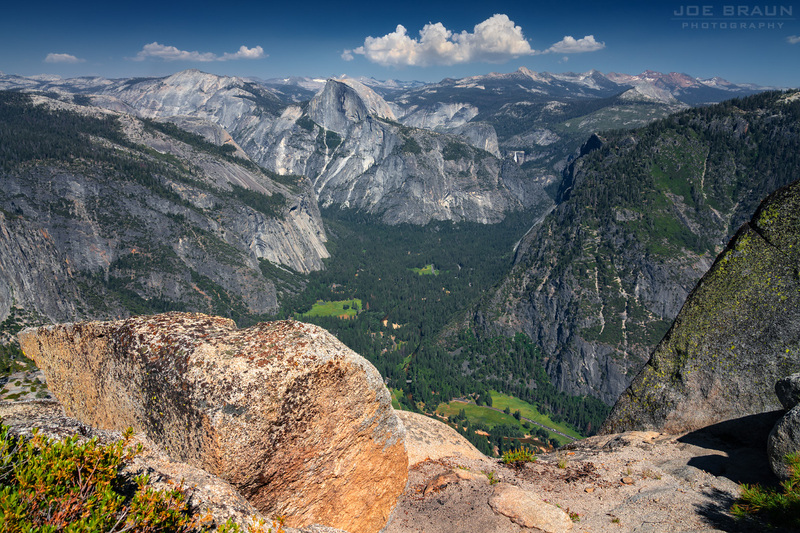 If you have the energy, take the 1-mile round trip hike up to Eagle Peak; the summit ridge is covered with interesting rock formations and the top-of-the-world views of Yosemite Valley and Half Dome are spectacular. Now it's time to start heading out. The main trail continues another 2 miles through the forested Eagle Peak Meadows and then at the trail junction, turn right (south) to head towards the Yosemite Falls Trail down into the valley. 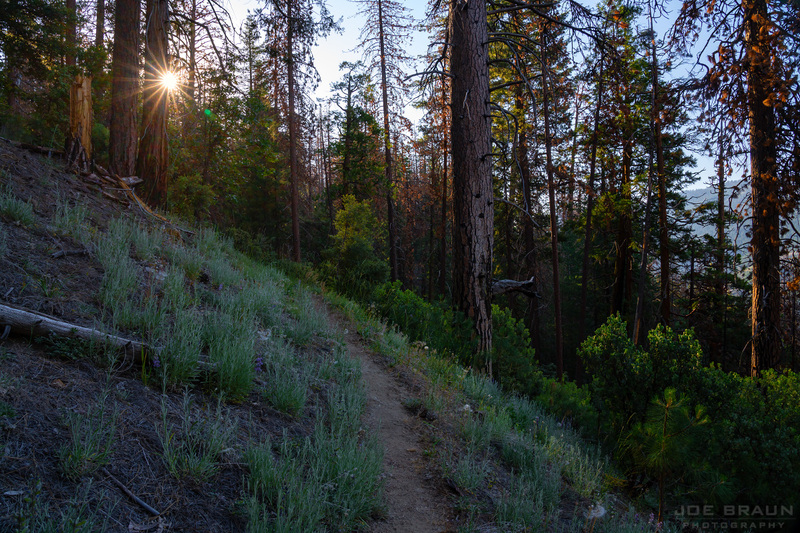 While you may be thankful that there is no more significant uphill left to the trek, going down the Yosemite Falls Trail is still a 2500-ft elevation drop along 3 miles of cobblestone trail that will give a good beatdown to your legs. When you're back in the touristy Yosemite Valley, pat yourself on the back; that was a long hike! While this hike can be done as a challenging day hike, it's also fairly popular as a backpacking route. (Wilderness permit required.) Tamarack Flat is also a popular alternative starting point. If you are doing this as a day hike, start as early as possible (before sunrise) to allow yourself as much time as possible. Bring a water filter to take advantage of the many streams and bring a headlamp and warm clothes just in case you do get stuck on the trail late. In an emergency, cell phone service can be spotty, but you can get good reception from the tops of both El Capitan and Eagle Peak. Since this is a through hike, you will have to work out the logistics of a drop-off or car spot to the fairly remote Old Big Oak Flat Trailhead. 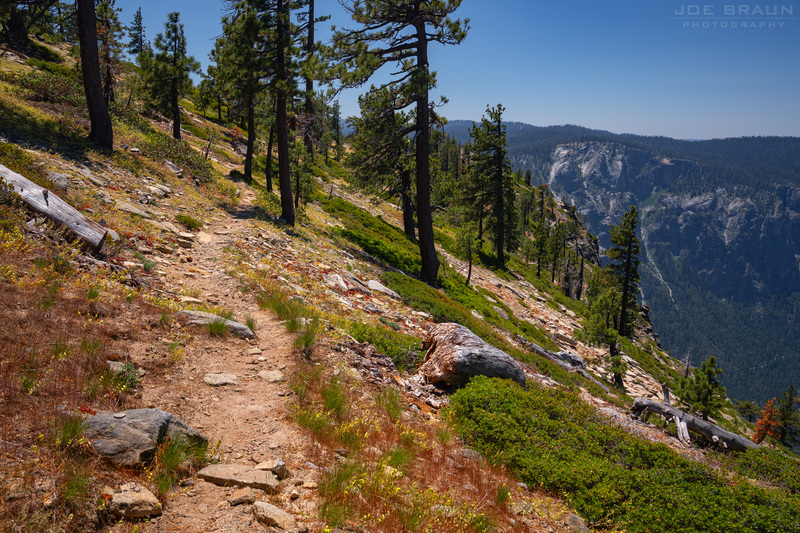 This is a long and challenging hike, but the rewards are great views and the taste of solitude while wandering around in some remote Yosemite scenery. 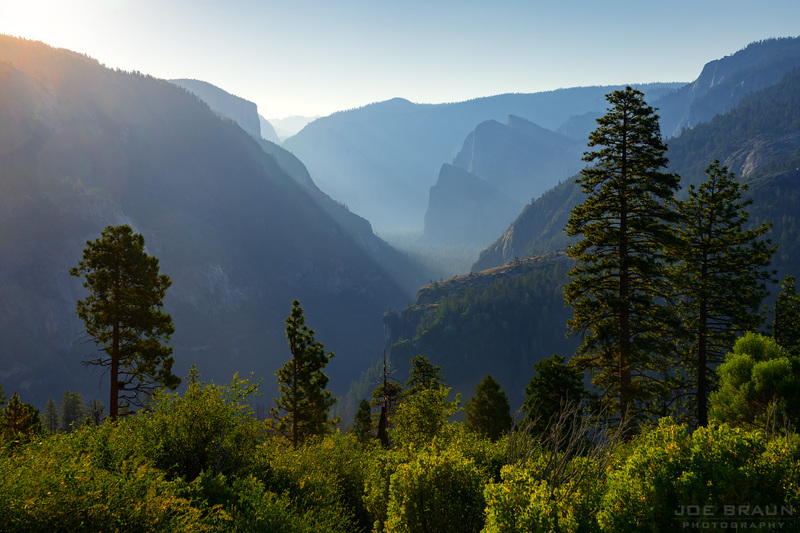 It's amazing to think that as well-known as El Capitan is, its summit and the surrounding trails really feel remote. You aren't likely to bump into more than a handful of people until you get to the popular Yosemite Falls Trail final section of the hike.